1100 block of Crestwood Drive, Lima — A domestic violence incident was investigated Monday. 320 block of North Collett Street, Lima — Police responded Monday to a fight in progress. East Market Street at North Central Avenue, Lima — A traffic accident with injury was investigated Monday. 300 block of South McDonel Street, Lima — Police investigated a theft report Monday. South Metcalf Street at West Kibby Street, Lima — The report of an intoxicated person was investigated Monday. 700 block of North Main Street, Lima — A theft report was investigated Monday. 200 block of South Collett Street, Lima — The destruction of property was investigated Monday. 400 block of West Wayne Street, Lima — Police responded Monday to a breaking and entering incident. 500 block of West North Street, Lima — The report of an intoxicated person was investigated Monday. 700 block of North Cole Street, Lima — A theft was investigated Monday. 100 block of North Jefferson Street, Lima — Police responded Monday to a traffic accident that resulted in property damage. 59 Town Square, Lima — A theft report was received. 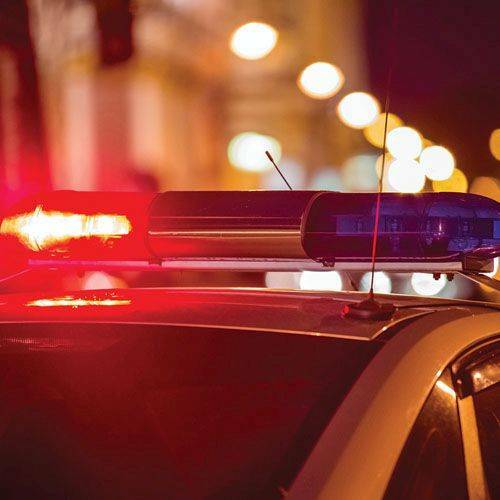 East High Street at North Sugar Street, Lima— Police responded to a theft report. 300 block of South Woodlawn Avenue, Lima — A theft was investigated Monday. 400 block of Orena Avenue, Lima — Police responded Monday to the report of a theft. 600 block of South Main Street, Lima — A shoplifting incident was investigated Monday. 300 block of North Main Street, Lima — Police responded Monday to the report of a theft. North Cole Street at West Robb Avenue, Lima — A traffic accident resulting in property damage was investigated Monday. 800 block of West Elm Street, Lima — A traffic accident with property damage was investigated Monday. 200 block of West Grand Avenue, Lima — Police responded to the report of a theft Monday. 700 block of West North Street, Lima — A theft was investigated Monday. 750 block of North Cable Road, Lima — A theft report was investigated Monday. 300 block of North Jameson Avenue, Lima — Police responded Monday to the report of a theft. 500 block of West Market Street, Lima — A theft was investigated Monday. 100 block of North Elizabeth Street, Lima — Police responded to the report of a theft Monday evening. 2000 block of North West Street, Lima — A theft was investigated late Monday. 500 block of Brower Road, Lima — Police responded late Monday to a domestic violence incident. 500 block of West McKibben Street, Lima — A domestic violence incident was investigated Monday night. 400 block of South Leonard Avenue, Lima— A man told deputies Monday that unknown persons entered his garage and removed items. 1700 block of Zeits Avenue, Lima — Deputies found a subject to be in possession of a variety of controlled substances on Monday. 4500 block of Sugar Creek Road, Lima — A man told deputies on Friday that items had been stolen from his vehicle.